Robots parking bicycles underground in Japan. 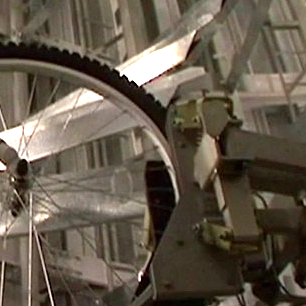 Robotic automation stores bicycles in large underground space. "Japan Underground Bicycle Parking Systems"